The cost of employee health insurance seems to surge ever upward. So finance chiefs that want to rein in the cost of health care benefits need to do a lot more than just cross their fingers and wait for next year’s insurance premium quote. New models that upend the traditional provider-payer dynamic are cropping up and deserve exploration. 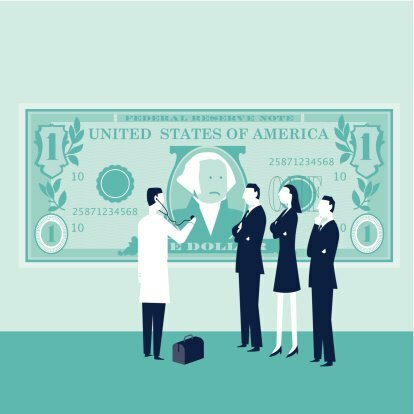 The following six stories from CFO describe some promising alternatives — from private benefits exchanges to cash pricing to consumer-driven health plans. Switching from a fully insured health plan to a self-insured one reduces an employer’s health-care costs, because health-insurance pricing builds in a risk premium and the insurer’s profit margin. But the economics of self insurance had not been favorable for small companies — until now. How small and midsize companies can consider self-funding their benefits claims. Read more. Should employees who smoke, have a high body mass index, or fail to follow doctors’ orders for managing diabetes pay more for their health benefits than their peers with healthier lifestyles do? Offering better premium pricing to employees who pass through a “gate” is one of several new strategies for controlling health costs. Read the story. Enterprise healthcare has become a major issue for executives. HR decision-makers hope to expand access to services and improve employee wellness. However, spiraling costs that are increasing year over year are forcing changes in the opposite direction. Growth in health-benefits costs has slowed considerably — partly because employers have taken the initiative by encouraging consumerism and emphasizing a culture of employee health. High-deductible consumer-driven health plans (CDHPs) are one way to keep a lid on costs. The average cost of coverage in a CDHP paired with a tax-advantaged health savings account, $8,789 per employee, is 18% less than coverage in a PPO and 20% less than in an HMO. Read the column from Mercer executives. Is Interest in Private Benefits Exchanges Moderating? Clarity on how many companies eventually will switch to a private health-care exchange remains elusive. There are more than 100 companies now offering private exchanges for active employees. But in a survey of 446 employers of all sizes, the number that said they have either implemented a private exchange for full-time employees or plan to by 2018 was essentially flat from a year ago. More here. Cash pricing refers to a payment for medical services that is negotiated between a patient and a provider. Whereas contract rates in PPO health plans are negotiated annually between payers and providers, reflecting the relative market power of each party in a given area, with cash pricing, providers bid on a specific procedure for a specific patient in competition with other providers. Moving to a cash-pricing model for elective health-care services has great potential to curb companies’ medical costs. Read the story. Pingback: Health Care Quotes - How to grow your business 100% ? Pingback: Private Health Insurance - How to grow your business 100% ?